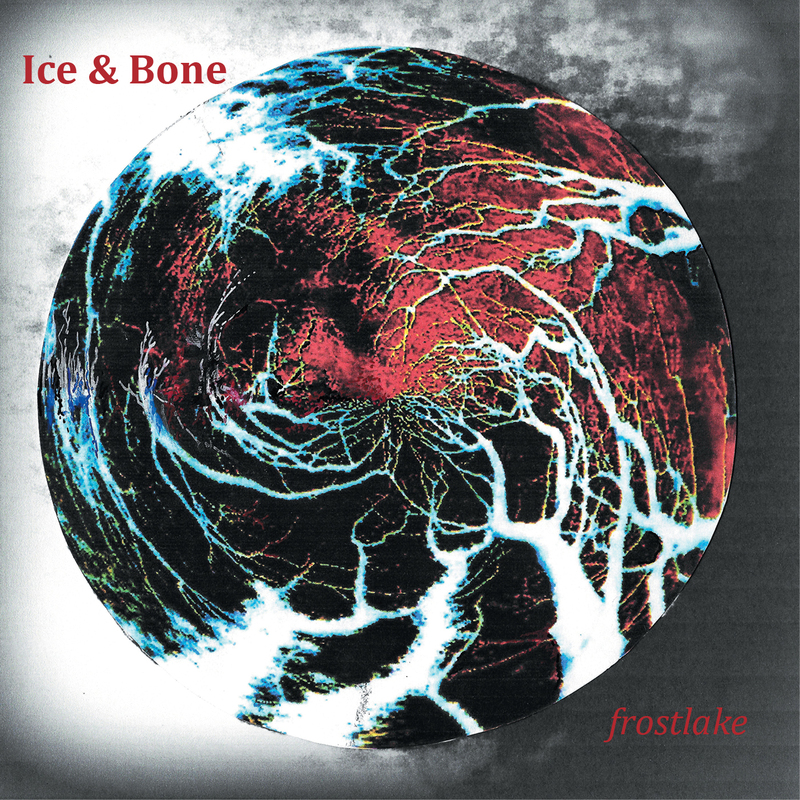 Ice & Bone- long awaited second CD by multi-instrumentalist frostlake (Jan Todd) who has been busy writing and recording for the improvising band Orchestra of The Upper Atmosphere. Ice & Bone is now finally released and the distinctive sound palette of her debut CD ‘White Moon, Black Moon’ continues - acoustic and electronic sounds washed with layered vocals and the creative bass of Terry Todd. They have played out live as a duo and here are studio recordings of their live set. The mix of acoustics strings/wind instruments with ethereal synthesizers and percussion takes you to another world- from the gentle terror of ‘60’s B movie ‘The Lake’ to the classic folk horror of ‘When Trees Sing/Find Me’. Ice & Bone unwraps the darker layers of the mind in dreams and the unexplained. Driving bass and drums grind it back to reality in ‘Just A Game’ and ‘The Last Time’ so this album is caught between the worldly and the unworldly - British psychedelia at it’s best. Field recordings add a sense of time and place in the eerie, natural world that frostlake creates and shares it’s stranger secrets. frostlake (Jan Todd )- vocals, lyrics, electronics, guitars, banjo, Lute Harp, Celtic Harp, zither, viola, melodica, clarinet, recorders, glockenspiel, Idiopan, percussion, Korg MS2000, Wavedrum, drum creations, midi keys, Arturia Microbrute, field recordings and found objects. Martin Archer‘s Discus label certainly knows how to throw a curveball. After the motorik groove of Das Rad and the subtle freedom of Beck Hunters, their next release is the chilly post-folk artistry of Frostlake. Jan Todd has taken four years to record the follow up to 2015’s White Moon, Black Moon and once again has bassist Terry Todd adding his warm groove to some of the tracks here, attempting to keep the slow creep of winter from invading the whole album. Jan is a true multi-instrumentalist and covers two sorts of harp, glockenspiel, Idiopan and Wavedrum amongst the myriad other things listed on the sleeve. It is possible on listening to differentiate them all, as the use of certain instruments imbues that particular track with its own feeling amongst the overall wintry outlook. The other thing that stands the album out is the use of Jan’s voice. Not content to just sing, there are abundant harmonies, as well as choral effects that sit at the back of the tracks and shine further light on the main vocal line. Jan’s voice is an impressionistic wash on opener “The Key”, set against a backdrop of gentle steel drum and a haze of electronics. The vocals have a folk inflection, but that might just be the Englishness of the delivery and its resonance against the elusive music that seems to hang from frozen branches, diverse and fluttering in the sparkling landscape. The addition of the soft yet incisive bass is an integral part of the overall feel. The zither brings a kind of magic to “Ghost Hotel”, and the song moves slowly, slightly hesitantly with spare percussion. Jan duets with herself here and it sounds so natural, adding high parts where required with the clarinet landing a smoky atmosphere in the lower register; but one lovely aspect is the addition of the natural world. Her willingness to introduce found sounds and field recordings that have come mainly from nature add to the outdoorsy sense of solitude. These songs feel as though they have been written in the proverbial shack somewhere in the wilderness, surrounded by tress and whatever wildlife nature has to offer, and they and the elements have been invited to be part of the recording. There is a wintry British feel that makes us feel rather at home when listening. The music is surreptitious on “Just A Game” and moves carefully like an animal through the woodland, wary of predators, while on “Walking On Bones” it is cold, like hacking at ice, trying to reach the nutrition below the frosty surface. This is how the songs emerge from this harsh landscape and are taken into the warmth of the shack, infused with elements that allow them to be released to the listener. They retain their mystery and solitude — but like the flute on “Woods Of Thorn”, are given the means to integrate. The banjo and bass together on ‘”The Last Time” is a really effective combination and the song feels as though it was produced for your ears only. The cantering bass that sets off halfway through the track gives it a momentum that is effective due to its under-use. Generally, these songs emerge gently and move subtly, and although the tracks proceed at a similar tempo, it is the use of the textures and found sounds that give them identity. Fireworks burst on “Candles & Fire” and the sound of woodpeckers on “Woods Of Thorn” is so evocative. A sudden burst of crows or rooks disturbs the equilibrium of “When Trees Sing/Find Me”, and from the zither and double-tracked vocal shade comes an electric bass-strummed release of energy, like a violent wave that pushes the album to its finale.